Future Tech is proud to announce we are hosting our annual Tech Summit Oct 23rd and 24th at our office in Suwanee, GA. We have worked hard to compile a group of leading manufacturers to present on their various emerging technologies. This is a great opportunity to learn, ask the manufacturers questions, and network with your peers. We provide the setting, the information, and most importantly the food. You just need to show up and enjoy a great learning experience. A crane that reads. Machines that talk to each other. An invisible shifting web that adapts to its surroundings. While these tools may sound like the makings of a futuristic robotic workforce, we teamed up with Rajant Corporation to provide Norfolk Southern Corporation with an advanced kinetic mesh network that allows for seamless communication between a rail-yard's many moving parts! Watch more below now. Atlanta, GA – (Business Wire) Future Technologies Venture, LLC. (FT), has taken steps forward in its strategic growth plan by appointing new management team members to help FT execute on its geographical expansion and to further strengthen its market position in 4G, 5G, and IOT spaces, with a specific focus on complex multi-technology networks for automation and autonomous deployments. “Future Technologies feels well positioned for strategic growth based upon the positive market conditions in two primary areas: mobile carrier upgrades of 4G and 5G and the IOT / private networks space with the ongoing network upgrades to support automation and autonomous applications,” said David Rumore, Chief Revenue Officer. “With our almost 20-year-old corporate platform, we feel ready to support the market demand for competent resources through our historical investments in our self-performance / in-house field service team. With this existing scale, bundled with our lineage in the private network markets deploying complex multi-technology solutions, including private LTE, fiber, fixed and mobile broadband, we feel we are in a unique position to provide a strong end-to-end solution to address the growing market opportunity to assess, design, implement, and sustain the networks of the future,” said Peter Cappiello, Chief Executive Officer. “Based upon this market opportunity we have on-boarded several strategic management team members with great track records and pre-existing relationships with Future Technologies. We feel very fortunate to have them join our team to help us execute on this strategic growth plan,” Mr. Cappiello added. Chris York, Vice President of Sales, will have responsibility to develop and to execute on FT’s sales and marketing plan for growth in each of FT’s target vertical markets (Mining, Transportation, Utility, Service Provider, and Oil & Gas). With over 17 years’ experience in wireless sales and marketing, Mr. York will play a pivotal role in delivering on the company’s strategic plan to grow revenues and geographical presence throughout North and South America through 2020. Robert Justice, Vice President of the System Integration Division, has taken the role of end-to-end responsibility for all of FT’s private network deployments, to include network assessment, design, engineering, deployment, and sustainment of such networks. Robert has over 10 years of experience in the private network area within the government market where he had responsibility to design, implement, and sustain complex multi-technology (Fiber, Cellular, Broadband) projects. With this experience, Robert is well positioned to help FT execute on its growth plan as a lead systems integrator across each of our private network reference architecture types, including Private LTE, CBTC, PTC, Automation, and Autonomous network deployments. Dino Bakakis, Vice President of Sales – EMEA, will take the end-to end-leadership role for engaging with strategic partners and end users and will grow FT’s market presence within EMEA. With over three decades of experience in these markets, Mr. Bakakis provides excellent relationships with regional Resellers, System Integrators, and end users (Service Providers, Oil & Gas, Utility, Ports, Transportation) within the region. Dino’s mandate is to help FT leverage their existing platform and expertise to support strategic partners and end users in the development of their plans to meet their network requirements of the future. Future Technologies Venture, LLC is an END-to-END solution provider specializing in the assessment, planning, design, implementation, and support of innovative communications solutions. Future Technologies maintains a strong concentration on emerging standards such as 5G, 4G, Private LTE, WIFI, SCADA, Automation, and Autonomous technologies. Through this practice and our knowledge of legacy solutions (2G, 3G, 2-Way, TDM) and Broadband Wireless solutions, Future Technologies consistently distinguishes itself as an industry expert in all aspects of customer network evolution for PRIVATE and PUBLIC network infrastructure projects throughout the US and International markets. Future Technologies is headquartered in Atlanta, GA.
Future Technologies recently upgraded a northern New Jersey city data network using the SIAE e-band (80 GHz) links to extend their city-owned fiber connections and Redline Communications to provide last mile connectivity to the city-operated video surveillance network. Private LTE “LIVE” at Elko Mining Expo! 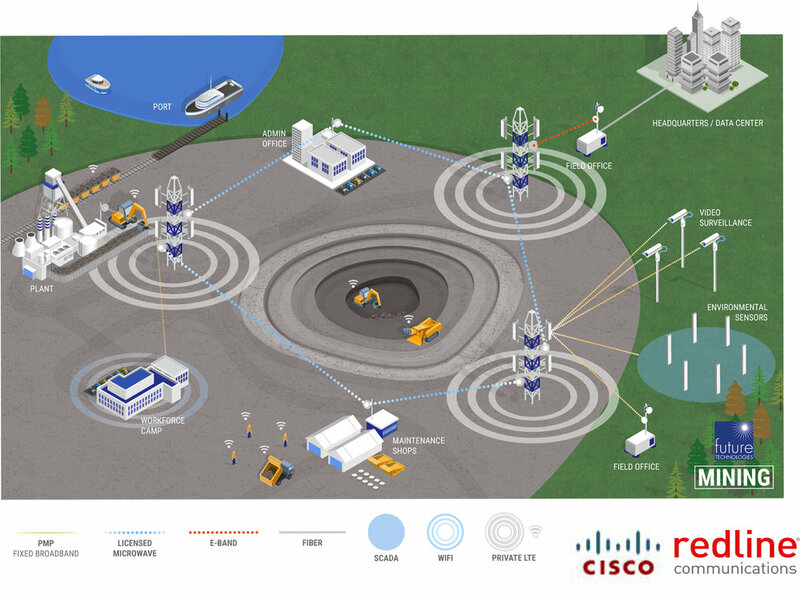 Come see Future Technologies LIVE Private LTE demo on licensed FCC spectrum with integration to Cisco WIFI. See how we can POWER ON private LTE! 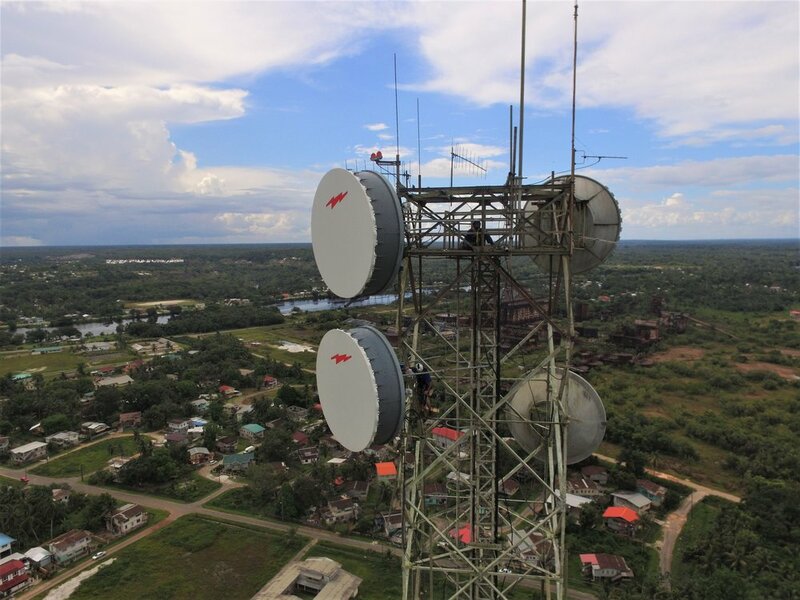 In the 2nd quarter Jaduan and his crew successfully completed several LTE upgrade sites in the South east region for a Tier one carrier. 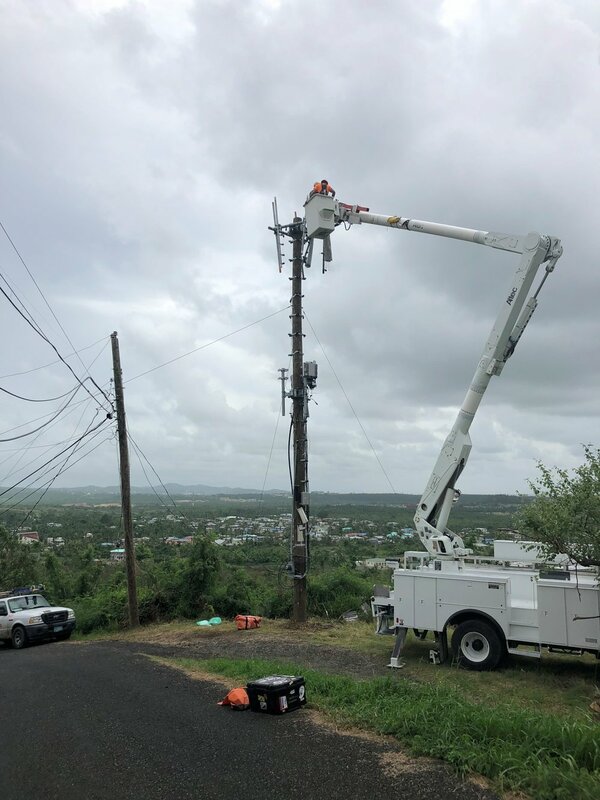 In building out these sites Jaduan and his crew demonstrated tremendous workmanship with most their completed sites achieving excellence with ZERO (0) quality defects on their LTE site builds. Jaduan continues to develop as a positive team leader and contributor to our company’s success. Great job Jaduan! We think we need a bigger…… WAREHOUSE! 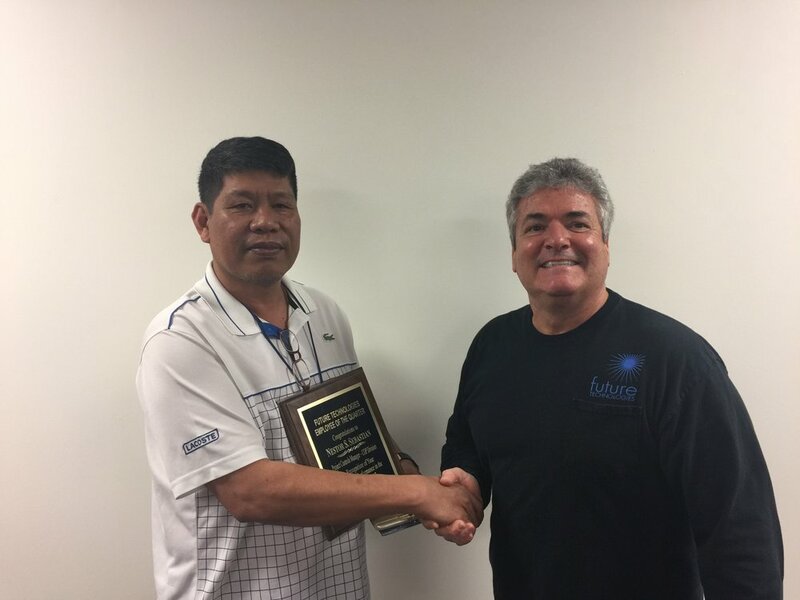 Future Technologies is proud to name our entire Supply Chain Management team CREW OF THE MONTH. 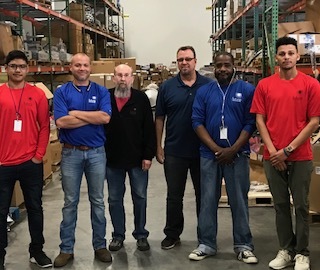 Lead by the leadership of Scott Broadfoot, our supply chain management team continues to do what is necessary to solve all our customer’s dynamic supply chain challenges. In the month of April Scott and Team also helped Future Technologies coordinate an additional 10,000 sq FT of additional space at our Atlanta HQ bringing our total space up to 45,000 sq FT.
Great job team – keep up the good work! Future Technologies awarded the March CREW OF THE MONTH award to this LTE upgrade crew based in the Alabama and Georgia Market. This crew demonstrated superior workmanship with their sites having Zero (0) workmanship punch items for their sites completed in the month. This requires commitment to quality standards and team work. Great job Team! Future Technologies awarded the January CREW OF THE MONTH award to this LTE upgrade crew based in the Georgia Market. In the month of January this crew successfully completed three (3) full LTE site upgrades exceeding our Tier 1 Wireless Carrier customer’s timelines. They also demonstrated great team work and workmanship on their deliverables. At Future Tech we are always looking at the “Future” and trying to develop our employees to meet the demands of tomorrow, today. Elle Mark is a team member that has been working for our Supply Chain Management Division doing Stage and Prepping. In this role, Elle Mark is able to work in a controlled environment to help the company take unfinished/raw materials and convert them to a form of finished product. DEVELOPMENT – This role allows the company to train new employees the basic principles of our business and integrate them into our company culture. PREP - Convert raw materials to a pre-fabricated state. This creates an assembly line approach and reduces our time on site for the construction crew members. QUALITY – All work is reviewed by FT Project Controls Division to ensure quality standards are met.